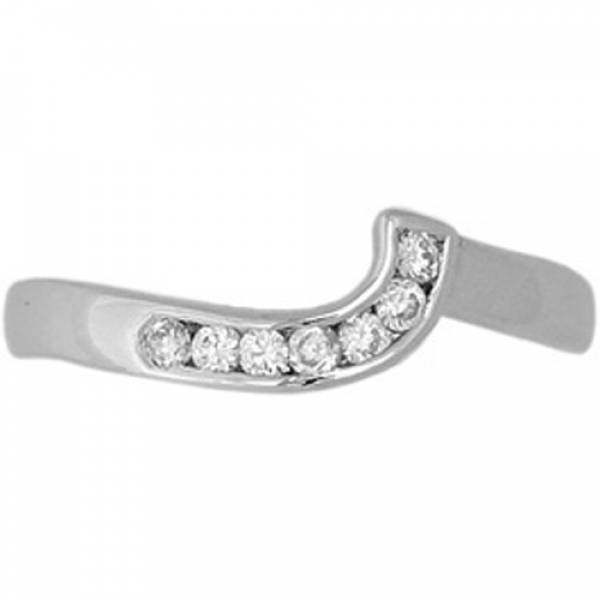 Shaped Wedding Ring Set with 7 inlaid diamonds made and Hallmarked in the UK with a 30 day Moneyback Guarantee and FREE Delivery. For a small additional charge any of our shaped ring designs can be made to fit your engagement ring perfectly! Call us on 01995606965 for more details and to arrange.